Catalogue > Roofing and siding > Deposited Coatings > Sealants, primers, mastics "IZOFLEX"
Roofing damage repair and filling of the (fractures, cracks, tears, blisters, leaks on wet and dry surfaces, etc. ), local waterproofing sealing, elastic and plastic seamless waterproofing covers underground production, bath-type seals performance and so on. 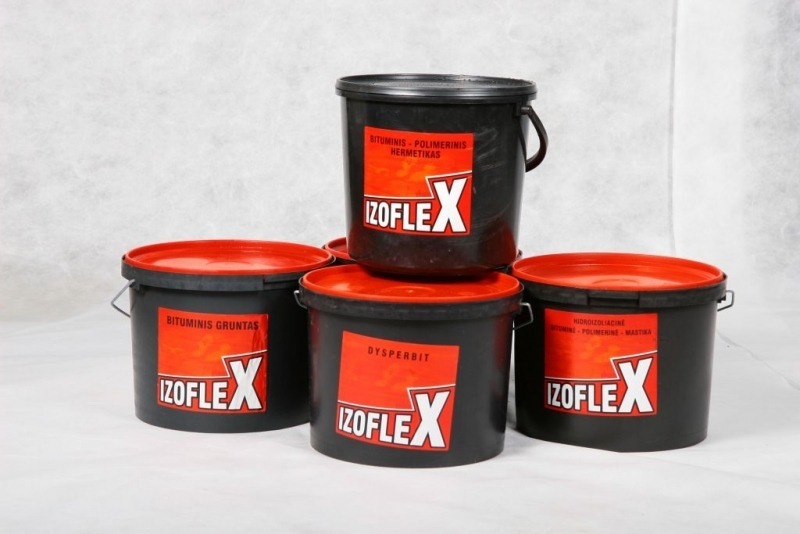 Mastic "IZOFLEX is designed to attach to the surface round asphalt concrete substrate, having a pitch of not more than 10%, and also use a concrete foundation and floor (baths, toilets, wash) Membrane. Roofing renovation and preservation, the base galvanizing. Bitumen coating "IZOFLEX is designed to prime concrete surface before laying the bituminous roofing felt, polymer-bitumen, asphalt prilydomąją, prilydomąją polymer-asphalt roofing with hot bitumen, bitumen mastic rubber-bitumen and bitumen-polymer glue.